Ulver announced that two box sets featuring all their early recordings will be released on November 18th. 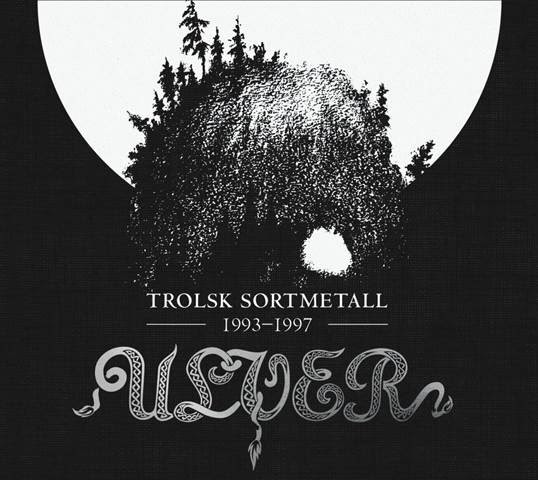 Ulver, whose album Messe I.X-VI.X was rated second in mxdwn’s best of 2013 list, will release a CD and vinyl box set titled, Trolsk Sortmetall 1993 – 1997, that will feature the band’s early albums and a previously unreleased 4-track rehearsal from the Nattens Madrigal era. The pre-sale is available on Century Media’s website before they are released on November 18th. The first format is a 5CD box set, which will include the first three studio length albums, Bergtatt, Kveldssanger, and Nattens Madrigal, as well as, Vargnatt, their original demo. It will also come with the Nattens Madrigal era unreleased tracks. It will come with a 104 paged hardcover book of unpublished photos and paraphernalia, original Norwegian lyrics and their English translations and comments from the band. Only 3,000 copies will be available and will be sold for $50. The second format will feature the studio albums on vinyl and the Nattens Madrigal unreleased tracks on a seperate cassette. It will also have a poster and a 32-page booklet in LP size that will contain the same content as the CD box booklets. Only 2,000 copies will be avilable and are broken down to 1,000 black vinyl copies, 400 on silver vinyl, and 100 on clear vinyl including art print, which is already sold out. The LP box set will be sold for $80. The box sets are available to purchase here. The full listing of items in each box set are listed below.